I love this beach cruiser! Ever since I saw this set in the Summer Mini, this card was just begging to be made. I have a beach cruiser that I take to horse shows that's just these colors. Too bad that there isn't a straw basket on the front of this bike! This card is also a nod to the wonderful return of Baja Breeze! 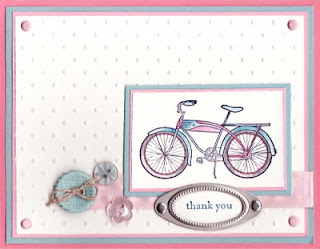 Very sweet card. 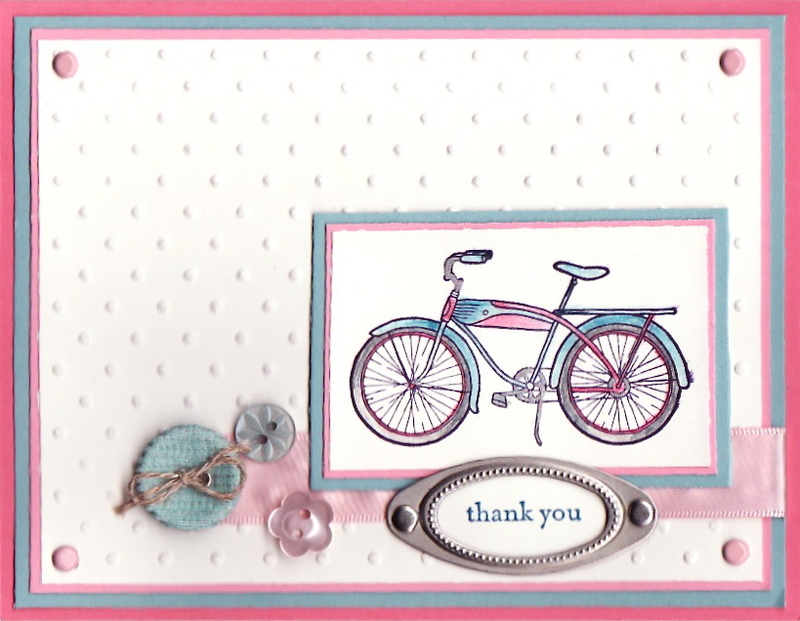 I like how the buttons mimic the bicycle wheels.